Chapter One: Why do we register voters? 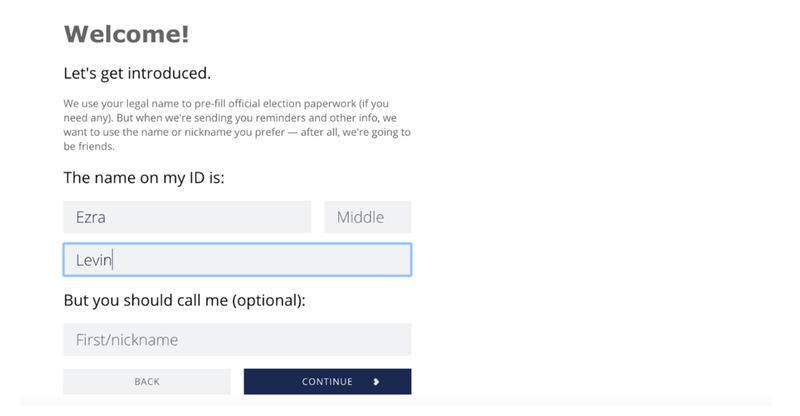 Chapter Two: How does the Indivisible registration tool work? Chapter Three: How do I register voters in my community? The difference average constituents can make when they raise their voices and hold their Members of Congress accountable is the core of the Indivisible strategy. In addition to showing up at district offices, town halls and making calls, there is another easy way constituents can hold their MoC accountable -- voting! However, before constituents can vote, they have to register. Ch 1: Why Do We Register Voters? Voter registration is important work that expands the electorate, combats voter suppression, and can even help you grow your group. Ch 2: How Does the Indivisible Registration Tool Work? Follow easy step-by-step instructions to learn how to use our voter registration tool on your tablet, phone or computer, and start registering voters in your community. Ch 3: How Do I Register Voters in My Community? Learn the basics of registering voters and planning a voter registration event in your community. Voter registration is an important first step in Indivisible’s electoral work leading up to 2018. It’s of critical importance to expanding the progressive base -- especially in historically marginalized communities -- as we look ahead to the midterms. While candidates are still declaring and campaigns are just starting, voter registration is a great way to lay the groundwork for the big year to come, and get some experience with canvassing before races heat up. Keep in mind, this guide was designed to be a resource to return to while you’re planning registration events and doing registration. It might even be helpful to print it out and bring it with you to your first voter registration event -- use it in whatever way is most helpful for you! As always, feel free to reach out to field@indivisible.org with any questions or thoughts you want to share with our organizing team. PLEASE NOTE: How you engage in elections depends a lot on your group’s organizational status. This guide is intended for unincorporated local groups and those spending money under 501(c)(4) tax rules--independently, or through fundraising tools we plan to offer as a 501(c)(4) organization ourselves. We do not recommend you incorporate as a 501(c)(3), as these organizations have serious limitations on their ability to participate in elections. Chapter 1: Why Do We Register Voters? There’s a simple answer to why we register voters: the more voters we register, the more voters we can turn out on Election Day. But voter registration is also about ensuring that every American can be an active participant in our democracy. Despite being a sacred right enshrined in the U.S. Constitution, the right to vote in our country is dependent on registration, a process which still creates a barrier to voting for many Americans. If you don’t have internet access at home, are unable to visit a city clerk’s office to pick up a form, or if your county doesn’t offer voter registration forms in languages other than English, it can be more difficult to register. If you think barriers to voting are a coincidence, think again. For some voters, registering to vote can be a mild inconvenience, but for many Americans, securing their right to vote and ability to register has been a long fight throughout the history of our country. The history of laws designed to suppress voting along racial lines continues to this day. Today’s racist voting laws come masked with other names. Some states require certain forms of ID to be able to register to vote. In many states, you need to already have a driver’s license or state ID to register to vote. Many states also purge citizens with felony convictions from the voting rolls - and then never let them back on. These policies disproportionately impact people of color, who are more likely to be arrested for low-level felony charges. Today, one out of every 13 African-Americans of voting age cannot vote because of these policies. You can read more about voter suppression laws in our guide Electoral Politics 101. As a result, people of color face institutional barriers to voting. While the 15th and 19th Amendments finally gave black men and all women the constitutional right to vote, people of color continue to face institutional barriers to voting and are registered at lower rates than white Americans. Low-income and young voters are also registered at lower rates. While political pundits on TV may claim that these lower voter registrations are the result of apathy, oftentimes lower income and younger Americans simply don’t know where or how to register to vote, or are intimidated by the process. Only 57.7% of Americans with family incomes of less than $10,000 are registered to vote, compared to 85.7% of Americans with family incomes of $150,000 or more. Registration rates are far lower among young people (55.4% for 18-24 year olds) than among their parents and grandparents (78.7% for 65-74 year olds). In addition to strengthening democratic participation and fighting back against voter suppression, conducting voter registration is an excellent way to engage your group. Registering voters is a rewarding, fun, non-partisan activity. By hosting registration events, you’ll likely interest members of your group who haven’t come out to actions in the past and bring in new folks from your members’ networks. Voter registration can also help you recruit new members and grow your group. You’ll meet a lot of new people while registering voters. Face-to-face conversations will always be the best way to develop meaningful connections when organizing. Registration events are a great opportunity to invite passersby to your next event. Though voter registration is a non-partisan activity, you can also engage the folks you’re helping to register in conversation. If it sounds like you share similar values with these folks, invite them to your next meeting or action! Make sure to have flyers for your group on hand during voter registration efforts so that you are prepared not only to register people to vote, but to invite them to be a part of the Indivisible movement. Chapter 2: How Does the Indivisible Voter Registration Tool Work? Indivisible will be using an online voter registration tool that you can use to do voter registration both in-person in your community and by sharing online. 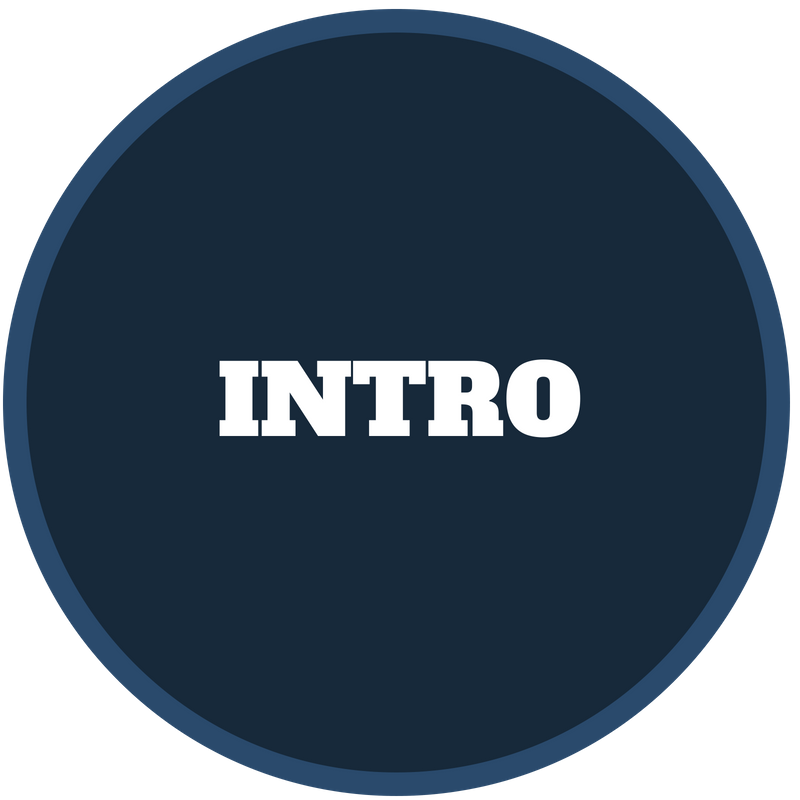 This chapter will explain what this tool is and review step-by-step how to make the most of it. Indivisible is working with TurboVote to offer an online tool that supports voter registration efforts across all 50 states. This tool allows constituents request absentee ballots and register to vote. In the states that allow online voter registration, the tool pushes registrants through the entire process to register to vote online. As an Indivisible group member, you can send this tool to friends and family, promote on social media, and, of course, go out in your community to register voters in person. So, why use TurboVote? Easy to use. TurboVote will walk new registrants through the entire registration process -- and at the end they will be registered to vote (or just have to mail in their completed registration). It’s that simple! No forms, no problem. When registering voters with paper forms, volunteers need to keep track of a lot of forms. Not to mention, there’s significant liability that comes along with doing voter registration on paper -- once you register a voter, you become responsible for making sure their registration form is handed in (and in compliance with state laws). Some conservative state governments have significantly ratcheted up the penalties for turning in paper forms late as a way to discourage voter registration. This tool does all that work for you. Registration is always complete and legible. It may seem trivial, but one of the big challenges of doing voter registration is making sure that registration forms are complete and easy to read. New registrants won’t be able to go to the next step without completing all the necessary fields and their answers will always be legible. More than voter registration. This tool goes beyond voter registration. Voters can use it to apply for absentee ballots. The system will also send everyone who registers an automatic reminder when elections are coming up! Additionally, Indivisible will be able to keep track of the folks that groups register and make sure that they’re contacted in the lead up to elections. Using TurboVote is quick and easy -- you can register yourself, send it to friends, share it on social media, and use it to register voters in-person in your community (more on this in the next section). Step 1: Go to Indivisible.TurboVote.org. Step 2: Choose your language, then click get started! Step 3: Enter the full legal name of the voter who is registering. Step 4: Enter the contact information of the registrant and how they prefer to be contacted. Only one is mandatory, but it’s best to collect both if possible. Step 5: Is the voter who is registering already registered? If the voter is not currently registered or their registration is not up to date, they move on to the next step. Step 6: Enter the full address that the voter registering wants to register at. This should be where the registrant lives and must be a physical address, not a P.O. Box. Note: If you are registering voters on a college campus, have students check to see what address they're supposed to use for voter registration. Many schools give students a mailing address that is different from their dorm address, and to register, students must use an address where they can receive mail. This can get tricky, so consider checking with the school to see what they recommend before you get started (or at minimum direct the student to do so)! Step 7a: Online registration is currently available in 35 states and DC. If the voter registering lives in one of these states, click “I’ll register online” and you’ll be sent to that state’s registration site! Note: Some states require a state-issued ID to register online (to ensure they have your signature on file), while others will allow you register and submit a new signature. Read the instructions and choose “I prefer paper” if the voter registering does not have the right ID. Step 7b: If the voter registering lives in a state without online registration, or if they do not have a state-issued ID from the state in which they are registering, TurboVote will instead walk you through all the necessary info for that state’s form (which will still be filled in online!). Step 8: Register! The registrant should fill out all the necessary information either on their state’s online registration website or directly into TurboVote, depending on Step 7. Every online form will look slightly different, depending on the state. If you’re doing registration in your community, take some time to familiarize yourself with your state’s form in advance. Note: State registration websites will ask for all the information necessary to register to vote, including state-issued ID number or Social Security number -- this information will not be shared with TurboVote. When registering through TurboVote for states that don’t allow online registration, the site will not ask for private information, but will leave those fields blank for voters to fill out themselves. Step 9a: Complete online registration! If registering through a state’s online registration system, click “I registered!” when the voter has completed the online process or “I prefer paper” to return to TurboVote’s version of that state’s form. Step 9b: Complete paper registration! Once the registrant has filled out all the necessary information for their state’s form on TurboVote’s site, TurboVote will email them a PDF version of their state’s form, pre-filled out with all their information, except their ID number and signature. Note: MAKE SURE the voter registering goes home and prints the form out, fills in the remaining information, and mails it in or returns it to their local elections office. TurboVote will direct them to a website to look up the nearest elections office and send reminders to turn the form in, but if you’re helping someone register, you should make sure they know this as well. TurboVote is an extremely powerful tool that will allow you to efficiently register voters both online and offline. There are, however, a few things to be aware of when using it in your community. There are still several states that do not allow online voter registration. That means you won’t be able to use TurboVote to do the entire registration process for voters in those states. New registrants will be able to fill out a form and get it mailed to them, but it will be important to remind those folks that they still need to mail the form in. If you live in one of those states, consider this in your voter registration strategy. TurboVote will send a reminder email, but it’s worth the added touch to give those folks a reminder call as well. TurboVote requires internet access and a smartphone, tablet or computer to register. While we highly recommend Indivisible groups use this tool in place of paper forms, we recognize that these resources are not accessible to all groups or group members. If the only option for your community is to do registration with paper registration forms, it’s crucial to familiarize yourself with state laws about voter registration (including requirements to do registration, eligibility to vote, deadlines to turn in registration forms and more). You can check in with your state’s Board of Elections to start learning. 38 states—Alabama, Alaska, Arizona, California, Colorado, Connecticut, Delaware, Florida, Georgia, Hawaii, Idaho, Illinois, Indiana, Iowa, Kansas, Kentucky, Louisiana, Maryland, Massachusetts, Minnesota, Missouri, Nebraska, Nevada, New Mexico, New York, Ohio, Oklahoma, Oregon, Pennsylvania, Rhode Island, South Carolina, Tennessee, Utah, Vermont, Virginia, Washington, West Virginia, and Wisconsin—plus the District of Columbia, currently or will soon offer online voter registration. Chapter 3: How Do I Register Voters in My Community? After you’ve updated your own registration and shared the tool with friends, it’s time to get out in your community to start registering other folks to vote. There’s nothing like the feeling of registering a first time voter! There are a variety of methods to register voters. Even as organizers are gaining more and more digital tools, the most effective and impactful way to engage with a constituent continues to be face-to-face. This chapter will focus primarily on high traffic canvassing (also known as site-based registration), but your group’s voter registration plan can and should consider additional ways to register voters in your community. High traffic canvass: High traffic canvassing means going to areas where there is high foot traffic and having conversations with passersby. This is an efficient way to have a lot of conversations in a short amount of time. Door to door (targeted or blind knocking): Going door to door and asking folks at their door to register to vote. Targeted knocking refers to a specific list of people, while blind knocking means you are going to every door without a specified list. Community outreach: Registering voters through existing groups and organizations within your community (e.g. other progressive groups, churches, schools, etc.). You should also share TurboVote with friends and family! Before jumping into voter registration, it’s important to know that there are some legal restrictions and regulations to be aware of. You should practice non-discrimination when registering voters. You have to register everybody even if they are supporting the opposite candidate or issue. You cannot encourage a registrant to register as a particular party. You must register everyone who wants to register (and is eligible to register) regardless of their political beliefs. States have a variety of laws surrounding voting rights for individuals who were convicted of a felony. While some are very restrictive, others allow folks to register once they’ve had their rights restored and in a few states they are event permitted to vote from prison. There are often state residency requirements as well -- meaning that you need to have lived in that state for a certain period of time before being eligible to register. Registration restrictions vary widely by state. Restrictions vary from state to state and you should be aware of the particular laws in your state when doing voter registration. You can find more information at your state’s Board of Elections or at www.vote.org/voter-registration-rules. High traffic canvassing means going to areas where there is high foot traffic and having conversations with passersby. This is a great way to have a lot of conversations and register voters. Create a calendar of events and best times. Whether it’s the bus stop that is really crowded at 4:30pm on Thursday or the mall parking lot that is packed on Saturday mornings, put it in an online calendar such as Google Calendar, which is really easy to share and collaborate on with other team members. Read your local newspapers and visit community websites. Most cities and communities big or small have newspapers, free magazines, or an online presence that has community events listed. Anything from the Sunday paper to the local independent magazine is going to give you dates and times for great places to register voters. Talk to folks in the community where you want to do registration. Local community leaders, organizers and influencers will have great ideas. Follow their guidance and defer to them on whether they think your presence will be helpful (see note below). Think about transient locations. Study things like bus routes, where people go during rush hour, where the most effective door at the mall is to stand by, etc. Every little detail needs to be considered in order to be effective. Timing is very important. A map on the wall in your home or office with voter registration hotspots is a huge asset. Write on the map where people should be, and at what day and time. Note: Doing registration work in communities other than your own can be fraught territory, as local organizations may feel you’re a Johnny come lately, and may not take your intentions at face value. Reaching out and asking is the most important first step when trying to do voter registration in a community that is not your own. Community events: farmer’s markets, festivals, garden shows, parades, etc. Busy locations: outside of grocery stores, busy strip malls, parks and more. Progressive events: progressive candidate rallies, pride events, pro-DREAM events, civil rights or police reform events, pollution clean up events and more are great because these people are already civically engaged. Young/transient neighborhoods: these are going be the areas where you will most likely find somebody that need to register to vote with their new address. Come prepared. Bring a computer, smartphone or tablet to register voters with (if you’ll be in an area without WiFi, consider bringing a portable WiFi connection). You’ll also want a clipboard with a sign-up sheet for folks who are interested in joining your group. You should definitely bring water and snacks because you’ll be outside for a few hours. If you can bring a little card table to set up some flyers on (with a paperweight), great. But don’t sit behind it, stand in front of it; you’ll talk to way more people! Put on a smile. It may sound silly, but having the right mindset and positive energy will make a big difference in your conversations and will make passersby more likely to stop to talk with you. Ask everyone. You should attempt to engage with every person that walks by, and assume that they’re going to stop (even though you know lots of people won’t). If you’re in a really busy area, you may want to have a partner so that you don’t miss anyone. Try to make eye contact and start with a friendly wave and a greeting from 10-15 feet away. Practice your hook. Chances are most of the folks you want to talk to are on their way somewhere, so you’re going to need to give them a reason to stop. Get right to the point: “Hey! Are you registered to vote?” or “Hi! Are you registered to vote at your current address?” is a good places to start! It’s OK to get a lot of no’s. If you’re getting a lot of no's, that means you’re doing the right thing! You’re going to be talking to a lot of people, so you’ll find some who you’ll have a great conversation with, but plenty who don't want to stop. Don’t be discouraged! Keep your smile and keep talking to people. Approach groups and stragglers. If the foot traffic dies down, you should approach folks who are lingering in the area. Folks who are in line are great for this, they’re just standing around. Though it may be slightly intimidating to go up to a group for the first time, these may be some of your best conversations because you’re hitting multiple people at once and they’re not on the way anywhere so they’ll have more time to talk. Debrief. Debrief with your group. What went well? What was difficult? How was the location? Follow up. Call and email the folks who signed up to come to the next meeting as quickly as possible, within the next couple days. Follow-up within 48 hours greatly increases the chances that that person will remember the interaction and come to your meeting! Pulling together a successful registration event takes some forward planning and set up, but a well thought through event will yield the best results. 14 days out: Pick a date and time that would work well for your group members and would be convenient for new members to get involved. Once you have the date, you can plan benchmarks for the rest of your planning process. Upcoming community events are a great idea to schedule voter registration events around. Check state and local registration rules before going any further. 13 days out: Start identifying and testing locations to do voter registration. If you haven’t been to any of the sites you’re planning to send volunteers to, it’s best if you test them out in advance. 12 days out: Begin recruiting! Publicize the event. Update your group and get commitments. Use this activity as an opportunity to bring in new folks too. Make calls to your neighbors, put up flyers in town, post in various Facebook groups, ask every group member to bring a friend. 7 days out: If you are planning to have other volunteers take on leadership roles in the training, start preparing them and training them at least a week before the event. 3 days out: Start confirmation calls, texts, emails, Facebook messages, etc. to volunteers who said they’d come out to register voters. Be sure to do multiple rounds of these confirmations over the next few days leading up to the event. 2 days out: Finish preparing all materials - clipboards, pens, group sign up sheets, computers, phones, chargers, etc. 1 day out: All materials ready and volunteers confirmed! High traffic canvassing is really fun and an important organizing activity. However, a quality training is key to making sure canvassers have a positive experience and get a good result. This training is designed to take about 25 minutes and can be done with one canvasser or with a large group. Welcome everyone as they arrive and thank them for coming. Have each volunteer sign in. Provide volunteers with materials and the link for the voter registration tool. Direct volunteers to the training area while you wait for a critical mass to arrive. Introduce them to one another and encourage them to get to know each other while they wait. Gather everyone together. Introduce yourself and thank everyone for coming! If it’s a small enough group, have all the volunteer introduce themselves as well. Provide an overview of the training and the day. Giv ontex bou h ctivit. Explain the importance of High Traffic Canvassing and registering voters. We want to register new voters and get folks engaged in our group. Set a goal: people can average registering usually 3-5 voters per person per 3 hour shift. Multiply by the number of volunteers you have and the amount of time you’ll be there. Review the High Traffic Canvassing Overview and the High Traffic Canvassing script. Demonstrate with a volunteer what a good high traffic conversation looks like. Have folks as a group walk around in a big (50 foot) circle. First the trainer should demonstrate good greetings (wave, smile, and ask to stop and talk about voter registration, Indivisible, etc), and then have each person practice greeting people as they walk by. No-one should stop, but no-one should be rude; the point is for that person to get practice waving and smiling at folks from a little distance away, getting out a short greeting. Keep having the person greeting switch out, and the last person joins the folks walking around. Have volunteers pair up and practice their asks. Leave a few minutes at the end for volunteers to ask their questions. Make sure everyone feels comfortable, while also being mindful of time and getting everyone out the door. While your volunteers are out, consider checking in on them with an encouraging phone call, text or even an in person visit. When volunteers arrive back greet them with enthusiasm and thank them again for their great work. Check in on how many people they registered and whether they hit their goal. Celebrate or troubleshoot with them as appropriate. Before the volunteers leave, have them sign up for their next shift. A few days after the event, call volunteers to thank them for their time and celebrate success, letting them know how many voters your team registered overall through the event. Update your own voter registration if you’ve moved or changed your name since you last voted! Share the voter registration tool with your friends and family via email, Facebook, Twitter, text message and more. Send the voter registration tool to your group members and ask them to share it with their networks. Identify someone in your group to serve as the Voter Registration Captain who can determine your voter registration strategy and plan future events. Start planning voter registration events in your community! If you have any questions, great stories of your experience registering voters, or best practice -- don’t hesitate to reach out to our Organizing team by emailing field@indivisible.org. Your efforts are going to make a tremendous difference in upcoming elections! Indivisible435.org is a joint website of Indivisible Project and Indivisible Action. Indivisible Project and Indivisible Action are separate organizations. Paid for in part by Indivisible Action. Not authorized by any candidate or candidate’s committee.